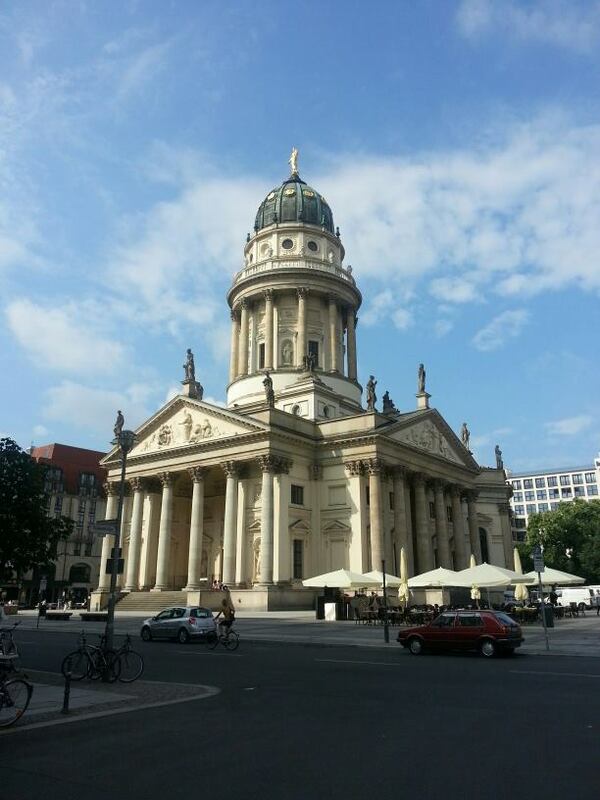 Berlin has a whole range of eateries ranging from the simple curry sausage stand to an elegant brunch served at the fancy Adlon Hotel with a view of the Brandenburg Gate. There is something to suit everybody’s budget, lifestyle and taste. If you are looking for something special with a serious dose of Berlin history, then you could do very well to treat yourself to an evening meal at Lutter und Wegner at Gendarmenmarkt in the historic centre of Berlin. 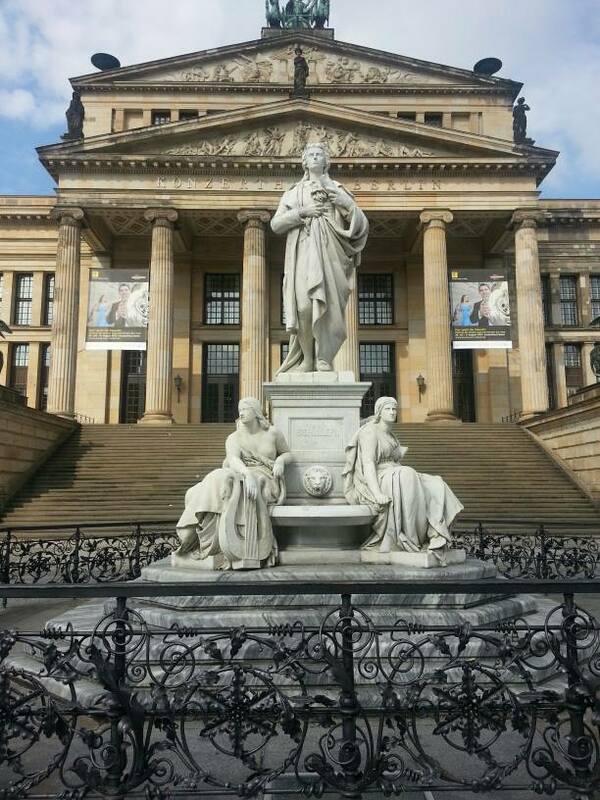 The modern restaurant is located behind the fabulous Konzerthaus that was designed by the renowned Prussian architect Karl Friedrich Schinkel, and was opened 1821. 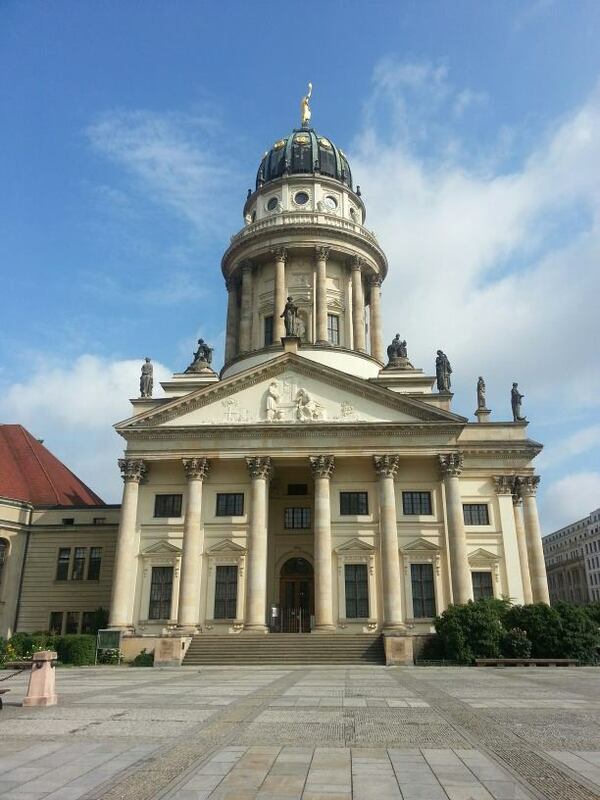 On either side of the Konzerthaus lie the German Cathedral and the French Cathedral, each of which have a long history of destruction and renewal throughout Berlin’s turbulent history. The restaurant is decorated and furnished with a combination of contemporary art, as well as traditional furnishings. The Jugendstil lamps are from Vienna and there is a bronze sculpture of a monkey sitting on the bar to greet guests that was crafted by the German artist Joerg Immendorf. There are three beautifully painted columns that are named ‘wine, woman and song’, that are the work of the German artists who belong to the group known as the ‘Neuen Wilden’ (new wild ones) whose aim was to break free of stiff conventions in art in the 1970’s and create a newer, freer form of expression. While dining on a traditional veal cutlet, or a delicious slow-cooked goulash served with exquisite Swabian noodles, your eyes may also fall upon a painting of the eccentric genius E.T.A. Hoffmann, the famous German fantasy and horror writer who penned the novella ‘The Nutcracker and the Mouse King’ upon which Tchaikovsky based his famous ballet. There is also a room in the restaurant named after Ludwig Devrient, who was one of the best and beloved actors in Germany in the early 1800’s when the restaurant first opened its doors in 1811 at its original location a few doors down from the present day location. Devrient made a name for himself playing Mephisto in Goethe’s Faust, and also for his interpretation of the works of Shakespeare and Schiller. The restaurant is indeed indebted to both of these talented men for its early success. They would wine and dine the night away after an evening at the theatre, and people would pack the restaurant in the hopes of eavesdropping on or partaking in their conversations. It was E.T.A. Hoffmann and Ludwig Devrient who came up with the name ‘sekt’ for sparkling wine, a name that is still used throughout Germany as a generic name for different brands. Lutter and Wegner has its own house sekt, as well as a wide range of exquisite wines to satisfy every palette. The young Romantic poet Heinrich Heine was another of the restaurant’s famous patrons in the early 1800’s. In the 1920’s, as Berlin was flourishing culturally, it was home to 3 opera houses, 49 theatres, 70 cabarets and 363 cinemas. 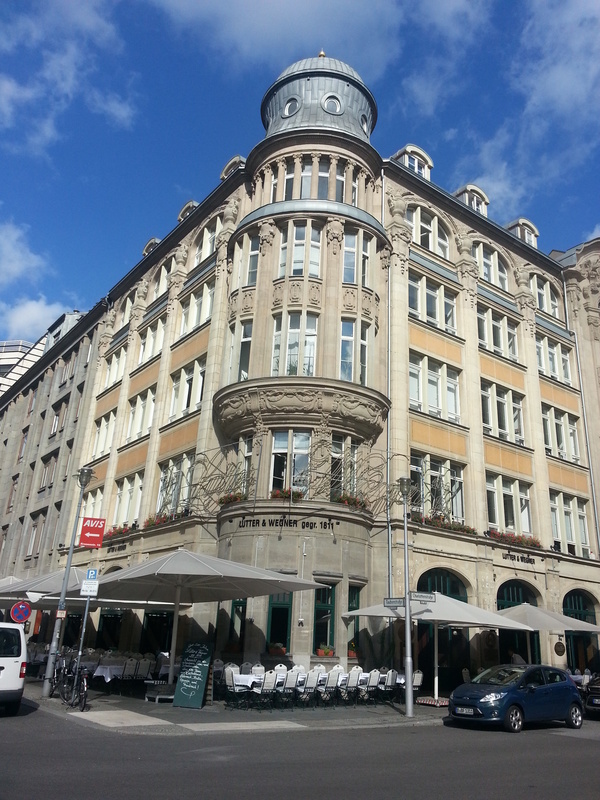 More and more cafes and restaurants opened during this time to accommodate the many actors, artists, performers, theatre and movie goers, and Lutter und Wegner did a roaring trade in this time too. During the Second World War, however, Gendarmenmarkt was nearly completely destroyed by allied bombing in 1944/45 but this did not stop the restaurant from operating for long. A previous employee of the restaurant named Hermann Neumann continued serving wine from the bombed-out ruins of the wine cellar on Gendarmenmarkt in June 1946. During GDR times, however, the restaurant was forced to close its doors, but swiftly opened them again at a new location in West Berlin. Finally, after the Berlin Wall fell it then returned to Gendarmenmarkt in 1997, but not to its original location, but by a wonderful twist of fate, a few doors down, in none other than the former home of one of its first and most famous patrons, E.T.A. 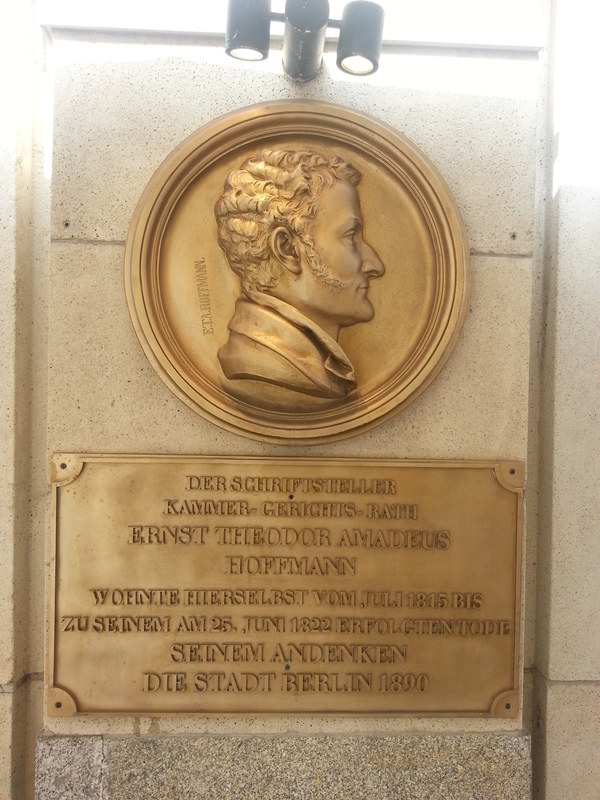 Hoffmann. The restaurant has now expanded and has many different locations, both in Berlin and Hamburg and the Austrian Spa resort of Bad Gastein, and each has its own delicious offering of German and international cuisine, along with extensive wine lists. Some delicacies on the menu of the diffferent Berlin restarants include Pot au Feu, aubergine lasagne, shrimp with chantarelle risotto served with grapes, estragon, spring onions and corn salad, a fantastic chicory salad with goat’s cheese, pomegranate seeds, mandarine and crunchy homemade bread, caesar salad, as well as classic meat dishes such as roast duck with dumplings and red cabbage. Lamb chops and steaks are available for the carnivores. For those with a sweet tooth a seasonal mulled wine ice-cream, crème brulee, chocolate mousse and of course the traditional apple strudel with vanilla ice-cream is served. An evening at Lutter und Wegner is a sweet and heady mix of wine, food and history that is bound to leave you happy, sated and inspired.